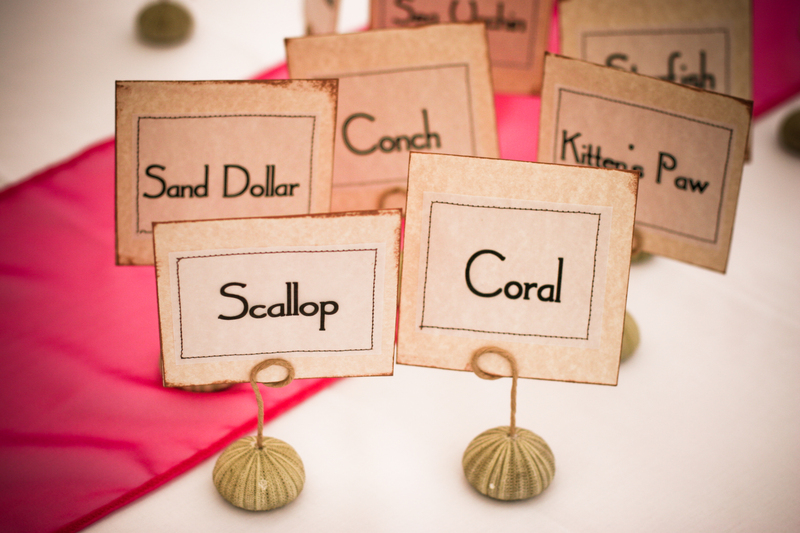 Weddings are a time of grand celebration, joy with your closest family and friends…and expenses. It is a couple’s own decision whether to organize an extravagant reception or host a simple private affair with only the close friends. No matter how you decide to celebrate the most enchanting moment of your lives, make sure it is truly what you want and not family and friend’s wishes… Many smaller intimate celebrations take place over brunch in secluded locations, or private tents on the beach. 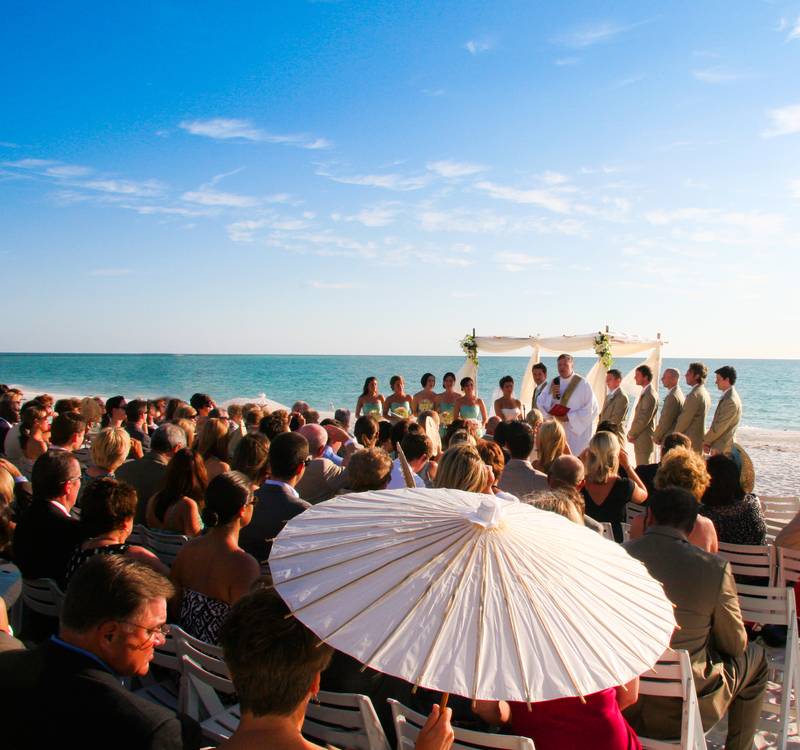 Not all venues offer good spaces for smaller weddings so you may have to look around. Gardens and Beaches are great spots, rather than resorts and larger ballroom or banquet centers. These tend to only cater to large events. For couples who want to celebrate with an intimate wedding, I suggest starting by narrowing down the guest list. Eliminating friends and co-workers can be hard, but remember it is your day, so no one is automatically “entitled” to an invitation. 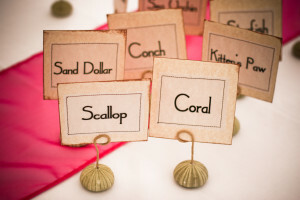 Decide on a budget for your intimate wedding. Stay realistic, and keep all wedding demands and needs in mind. Many couples prefer to spend money on a down payment for a house, or a lavish honeymoon, than on the actual wedding. With average weddings costing $20k (US, 2013), it is no surprise that couples are choosing to put that money to work rather than spending it on a big party. A budget is a detailed plan for the expenses. Make a list, and allocate amounts for each item. The total should equal your budget. Make sure to have a buffer, and prioritize items and vendors so you know what to cut if money runs short. Have an “Emergency” line item that you can tap into, just in case. Many couples do a “dollar dance” at the reception. This is a fun way to collect extra cash for the honeymoon. Guests pay (usually a dollar) for a short (30 second) dance with the bride and groom. To save money, it is also common to eliminate the videography from the wedding, adding a more substantial wedding photography coverage with wedding books and web proofs. In sarasota, wedding photography is hard to come by as vendors book up quickly in prime season, so book early. Attire is another large expense. Just because you host a small intimate wedding, it does not mean it can’t be lavish. You can buy your wedding dress of-the-rack or have one custom made. If you choose to have one made, keep in mind that you can get great bargains from vendors in Hong Kong and China. Most of these manufacturers have listings on Ebay, and they offer couture style dresses made-to-order. You will need to plan ahead as manufacturing and delivery takes a few months. The groom usually rents a tuxedo or linen suit. Smaller intimate weddings are often more casual and it is not uncommon to have the bride in an elegant yet simple dress and the groom in linen pants and a shirt. For a smaller intimate wedding, keep the decoration cozy and warm. Personalization and homemade décor and gifts are a nice touch. If you are in a garden setting, have lanterns hang from branches. 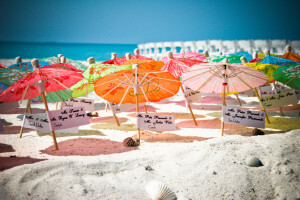 If you are on the beach, have torches or sparkers for fun photos and romantic ambiance. Small intimate weddings do not have to be boring or uneventful. Plan accordingly so that guests do not feel misplaced and uncomfortable. Make the space cozy and elegant with soft lighting and music that is not overpowering.